Another year gone and all the best intentions I had for this blog with it. I started out last year with the greatest of intentions to get actively blogging again. Didn't quite work out. Still here though. And my silence in the dolliverse didn't at all mean that I wasn't actively collecting and seeking out dolls. It still rained Poppy Parker in my home. I'm actually slightly Poppied out at the moment. Below are a few of the non-Poppy girls that entered my home. On another note, bigger dolls entered my doll collecting world too... and with a vengeance. After having worked for a local doll company that rivaled the American Girl dolls, Maplelea, I now have two Maplelea dolls on top of two American Girl dolls I had from a few years back. For big dolls, that's a lot. I'd even fallen in love with A Girl for All Time dolls that I had to have one. That's already one AGAT doll too many. The great thing about big dolls is that I don't have the urge to acquire quantities of them...Ok, not entirely true. If I had a lot of money and space, I'd probably horde as many. As it is, their sheer size keeps me a bit disciplined with spending where they're concerned. Their outfits are another story though. Plus, when Sears Canada went out of business, I was able to acquire Newberry doll accessories that are sized perfectly for my big dolls for really really good prices. Story for another day. 2017 was the first year since probably 2007 or 2008 that I decided not to join the Barbie Fan Club. It was the first year in a very long time that I didn't acquire a single Barbie doll. I'm actually a bit weirded out typing that last sentence. Luckily, I get over myself fairly quickly. So on a happier note, I was able to get my hands on another Peewee Parker creation before 2017 ended and she arrived in the first week of 2018. Peewee Parker one-of-a-kind dolls have such magical qualities to them. Cypress is no exception. What a great start to another year of collecting. If you haven't already, check out my Instagram. Your Peewee Parker doll is gorgeous and definitely a great start for the year. 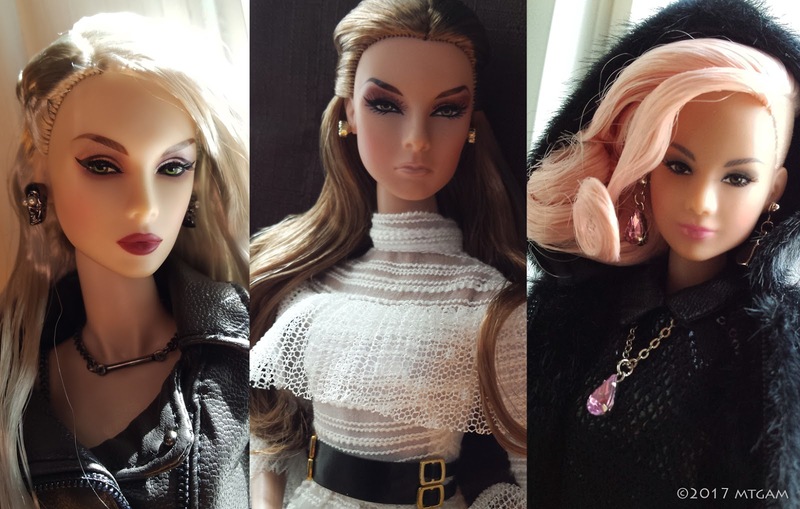 I would also like to see more pictures of your other dolls, particularly The Industry Style one. And the big girls are definitely another dangerous addiction. You acquired great dolls! The OOAK is truly wonderful , and that dress!!! Yes, big dolls are indeed very tempting, I had many but now only have a few left, and only because of space problems. Your pictures of all the dolls are beautiful :-). Hello! I just found your blog today. 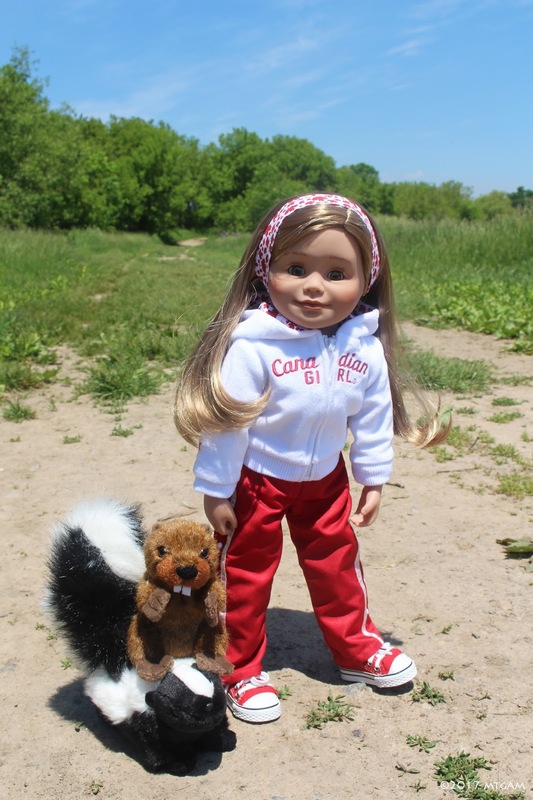 I live in BC, Canada and I have one Maplelea doll. I have many AG dolls. I'd LOVE to see your Newberry accessories as I have a few, and I really, really miss Sears. I'm quite heartbroken it's gone.